Many years ago when I was a teenager, I decided to buy a sit up bench. I wanted to have a more advanced abs workout, you know, the summer was coming. I went into the local store, I bought a board for about 40 bucks. Do you know what happened to it after 2 months, I threw it away. It wobbled, broke and it was so uncomfortable that it did more harm than good. Anyway, it was a good lesson. Now I have a commercial sit up bench which provides an excellent workout experience. It is rock solid, very convenient to use and I know it will serve me for many, many years. Yes, it was not cheap, but it is a one-time investment. 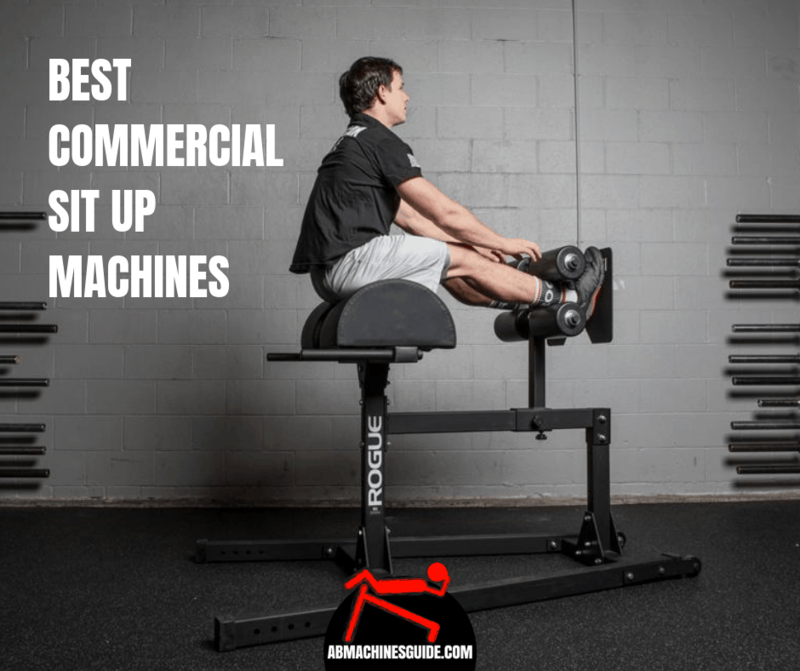 Are you interested in a commercial graded sit up machine? Here are three fitness equipment that copes even with the extreme usage of a local gym. 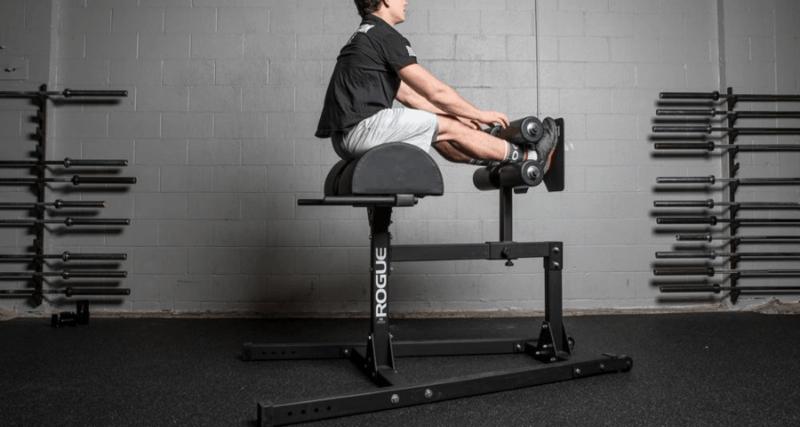 Rogue workout equipment equals top quality, durability, and convenience. There is a good reason why commercial gyms, weight lifting competitions and Crossfit games use Rogue products. The same is true for their GHD (glute-ham-developer) machines. As the name suggests, it is more than a decline sit up bench since you can do hyperextension exercises with them. This way you can get a total core strength training. In my opinion, Rogue GH-1 is the best price/value machine. It costs about 500 bucks but for good reasons. The foot roller is adjustable by 1 inch horizontally, and there are about 20 settings. This way everyone, from very tall to short, can find an optimal length to perform the exercises correctly and comfortably. Also, the 4 roller pads are 8.5 inches long and 5 inches wide in diameter with 3 inches gap between them. That dimensions, the thick padding, and the ergonomic design let us fix feet safely and comfortably to perform the moves with the best efficiency. GH-1 is made of 2×2″ and 2×3″ 11-gauge steel tubing that very durable construction. Hence, even the biggest guys can use it without being afraid of bending or breakage. For example, you can use it for hyperextensions or sit-ups with weights as well. Rogue paid attention for maximum stability as well. The base has a triangular design. Wobbling is not only annoying but can be dangerous since it may lead to poor motion. To sum up, this GHD machine is a piece of art. Although, we should not forget that this is a heavy item, weights 195 lb. You can get optional transportation wheels for better portability, but I do not think they help much. On the other hand, it is rather compact since 68.5″ L × 45″ W × 49″ H.
If you are interested in it, you can read more reviews and check its current price here. If you found the previous item expensive, this XMark adjustable decline ab bench might be a good alternative. It is also commercially-graded and provides a great user experience. Although, you cannot do back extensions with it. An excellent feature is that you can adjust the board in 12 positions. The lowest ones are great for beginners, and higher ones for pro athletes. Also, you can make your sit up workout more versatile, since you can do both low-resistance and high-resistance exercises with more and fewer repetitions. 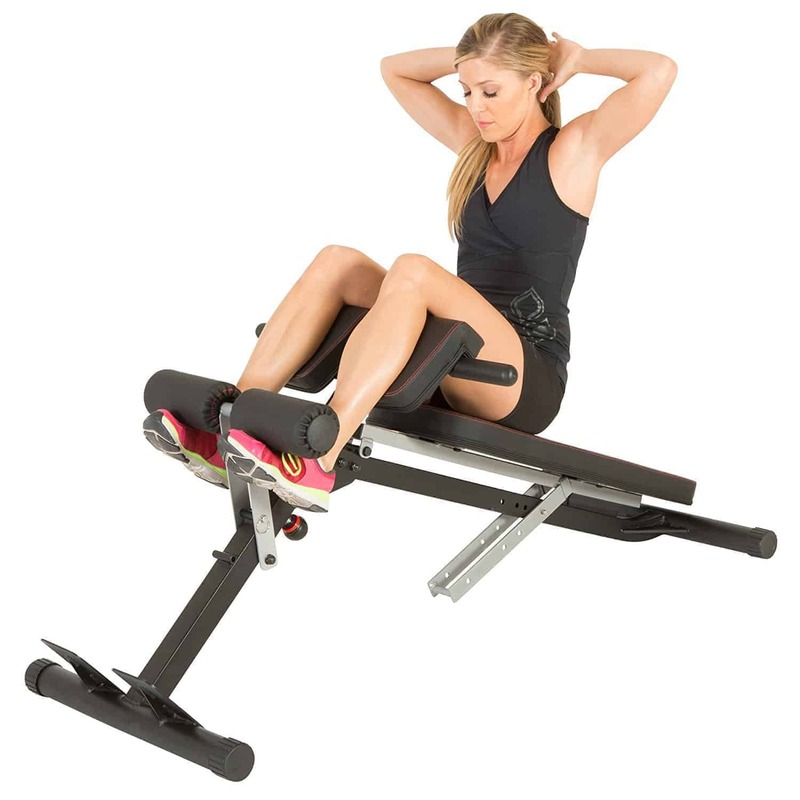 The ab crunch bench has a 2×3″ 11-gauge steel mainframe and 500 lb maximum capacity. So, durability is not a question. Also, you can use it as a weight bench for dumbbell exercises like presses. For better comfort, the backrest is covered with 3″ thick Duracraft cushions supporting your back. Also, it comes with oversized 4.33″ vinyl-covered foam rollers for fixing your legs without pain. The length of the board is 47″ long and 12″ wide. Such a range make it a good choice even for tall guys ever 6 feet. This commercial ab bench is almost the same as the previous one but costs a little bit less. It comes with 12 positions, and it is a commercial grade construction. The main difference is in the dimensions of the board. It is shorter than the previous, 40 inches. Because of that, I do not recommend it for taller people over 6 feet. Check out the detailed review about Body-Solid sit up bench here. What makes an abdominal bench commercial? The most important factor is the construction of the frame. This type of equipment is made at least from 2×3″ 11-gauge steel tubing for durability. They are designed in such a way to provide the best user experience. So, they are adjustable for resistance and for the user’s height. They come with lengthy guaranty. Some manufacturers give lifetime warranty for home use. But, be careful, because the warranty is for the main parts such as the frame. Wearing parts like the cushioning or the rollers have limited warranty. A commercial sit up bench is without a doubt an investment, but you get exercise equipment that serves you for a lifetime. It also gives an excellent workout experience. If you can afford it, it is worth to consider to get one for your home gym. Hi! I'm Walter, a 36-years old gym owner. I've been working out since I was 15. Now I do calisthenics and boxing. On this website, I'd like to share my workout and home workout equipment tips. AbMachinesGuide is a participant in the Amazon Services LLC Associates Program, an affiliate advertising program designed to provide a means for sites to earn advertising fees by advertising and linking to Amazon.com.